and Hydrates African American Skin. 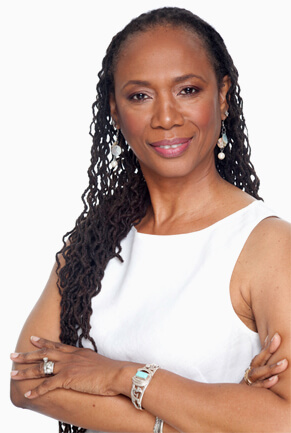 As an Esthetician that specializes in skin care for women of color, I understand your challenges and that when it's time to take care of your skin and hair you want a product that was created with you in mind. 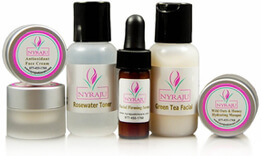 As Esthetician and founder of Nyraju Skin Care, I understand that the Big Secret to Black Skin Care is using natural and organic products in your daily regimen for cleansing, toning, moisturizing and exfoliating your skin. 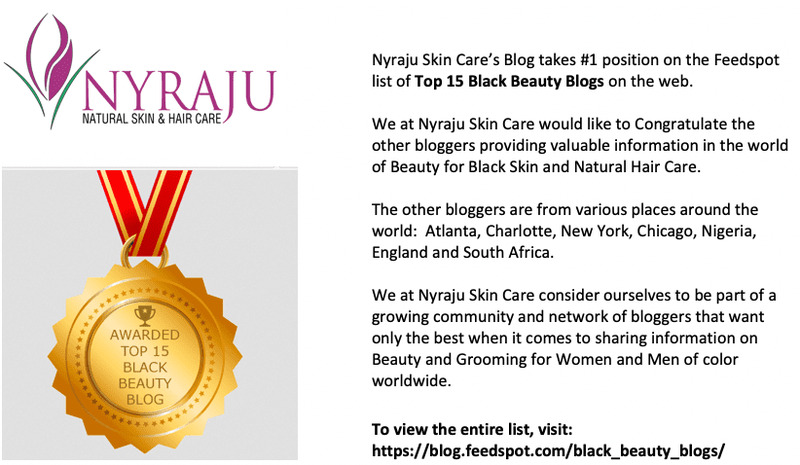 Disclaimer: Nyraju Skin Care does not represent or warrant the accuracy of any statements or product claims made in this section. Results may vary from person to person. I'm a long time client of Nyesha's. She's been doing my hair 5 years now. 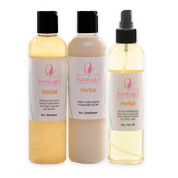 I'm a huge fan of the Nyraju products, we use the Peppermint Tea Tree line on my hair. I love it because it's all natural, so I'm not worried about any chemicals in my hair. It really cleanses well and keeps my hair moisturized at the same time so it's not stripped after it's shampooed. I have used many of these products for over 10 years and have been wildly pleased. The body oils, Sensual, Relaxing and Honey have been my personal favorites for years. The fragrances are not overwhelming but last throughout the day. I use the body butters on my elbows, hands and feet, they leave them smooth and ash free.